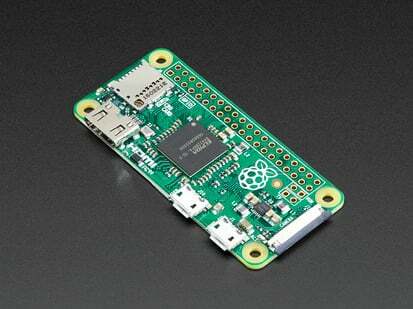 AdaBox005 – Break for Pi is the perfect gift for folks who are just getting started in the world of DIY electronics. It's an excellent addition to our family of DIY projects, and this is a solderless pack. This is such a great way to test the waters of AdaBox before committing to a subscription. Please note! This is NOT the subscription version of AdaBox! This is ONLY AdaBox005 that shipped out to AdaBox subscribers in Sept 2017. This version does not include free shipping, MagPi Magazine or AdaBox subscriber exclusive pin. 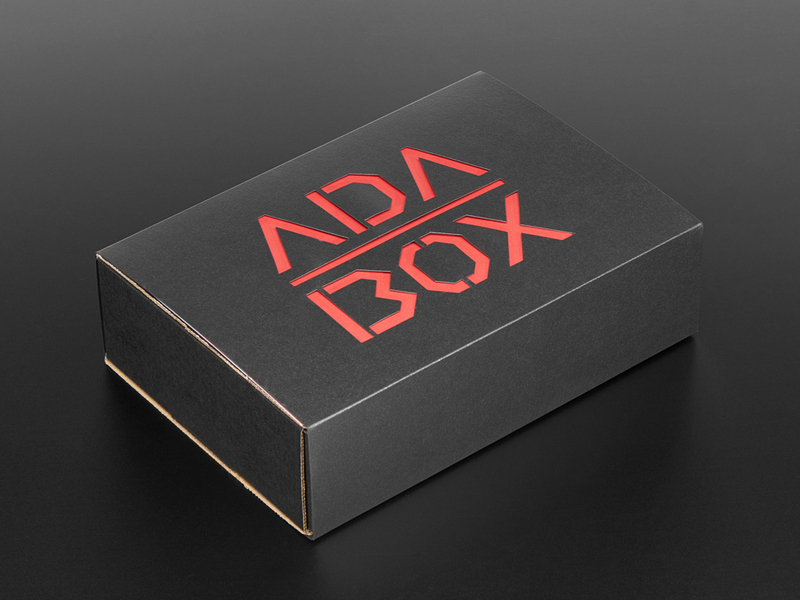 If you'd like to subscribe to AdaBox, please visit the AdaBox page! You've consumed four AdaBoxes – the equivalent of a delicious, nutritious, meal of DIY electronics. And now it's time for dessert. Pour yourself some coffee – or if you don't drink coffee a nice cold glass of milk – for it is finally time for Pi. 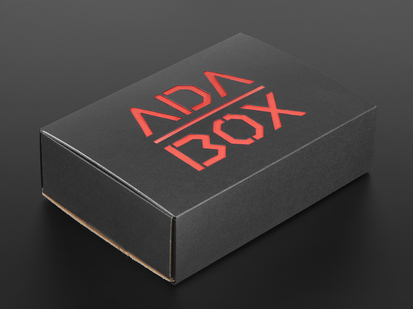 If you enjoy gaming just as much as you enjoy having a drink of water I'm honored to be the one to inform you that Adabox005 is a pack you surely don't want to pass up. 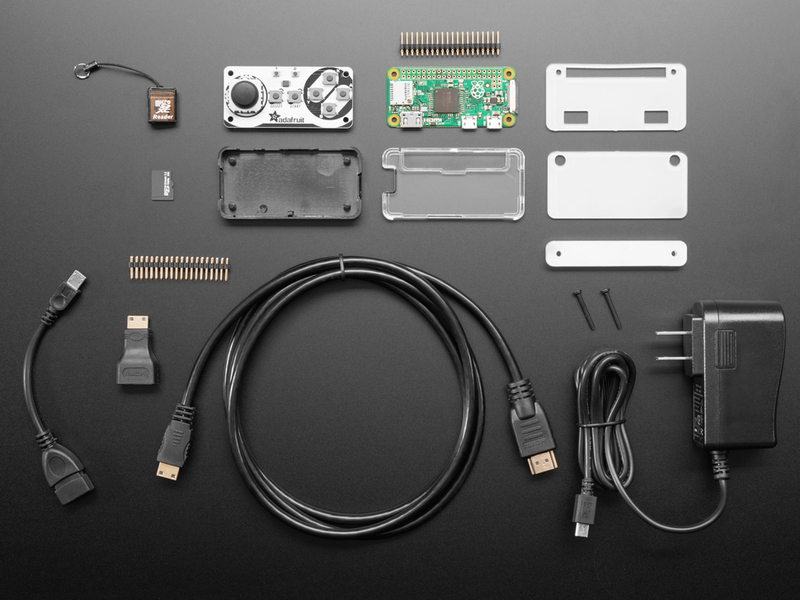 This pack comes equipped with a Raspberry Pi Zero, Raspberry Pi Zero case, Adafruit Joy Bonnett, Mini HDMI cable, 8GB SD card and a USB microSD card reader. WOW! Your eyes are certainly not playing tricks on you. 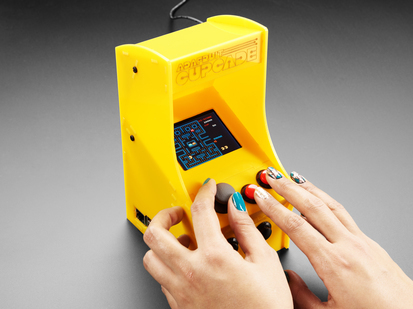 This pack allows you to relive your childhood gaming memories you thought were long behind you – from Pac-Man to Super Mario. 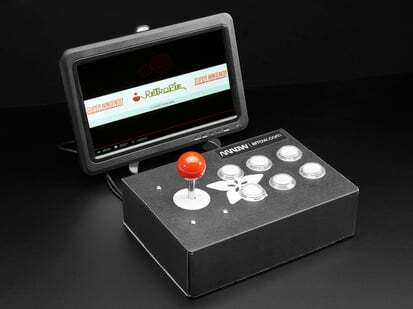 With Adabox005 you can make your Pi zero into your very own DIY gaming tool. 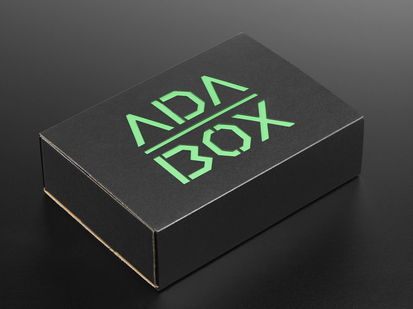 If you're an international customer (outside of the UK, France, and Germany), this is currently the only way to get an AdaBox (for now - we're working on it!) 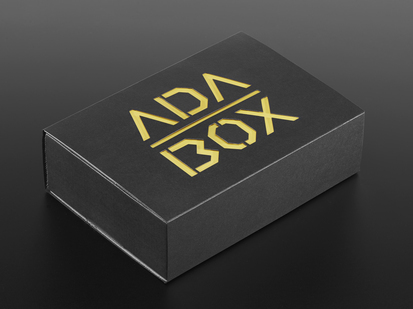 and if you're a subscriber who missed out on boxes one and two, a great way to spend your time as you anxiously await AdaBox006. This kit DOES NOT include the collectible pin, Make: Magazine, or free shipping. Visit learn.adafruit.com/adabox005 for AdaBox tutorials. 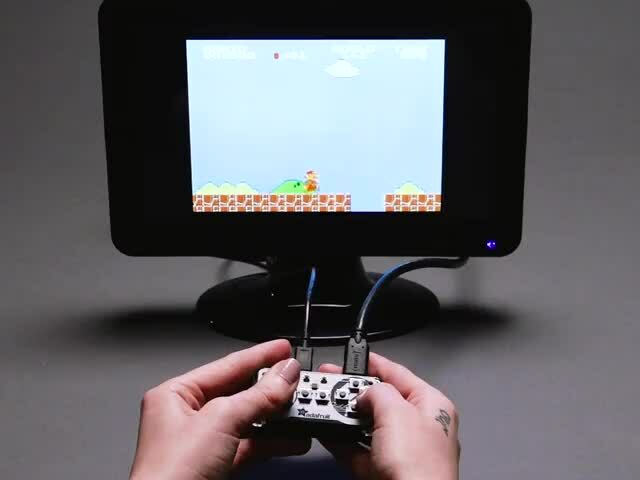 Learn how to burn our custom version of RetroPie / Emulation Station to the SD card! 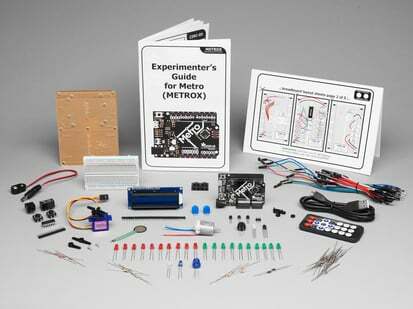 Check out adafruit.com/adabox005 for more information!